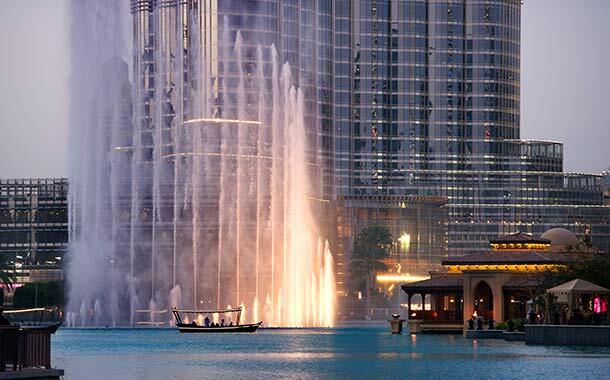 Book a Dubai Trio Package with us and enjoy three main attractions of this bustling city. This package comprises of a Dubai City Tour that includes the major landmarks, a mesmerising Dhow cruise and an adrenaline-pumping Desert Safari. You have two options to choose from for the city tour. 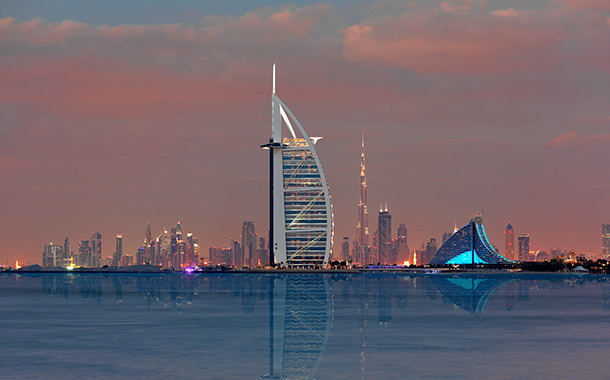 The traditional city tour takes you to, among others, to Gold and Spice Souq, Dubai Creek, Jumeirah Mosque, Jumeirah Beach, The Palm Jumeirah, Burj Khalifa and Burj Al Arab. The new city tour, on the other hand, covers Dubai Marina, The Palm Jumeirah, Burj Khalifa, Burj Al Arab, Madinat Jumeirah and much more. 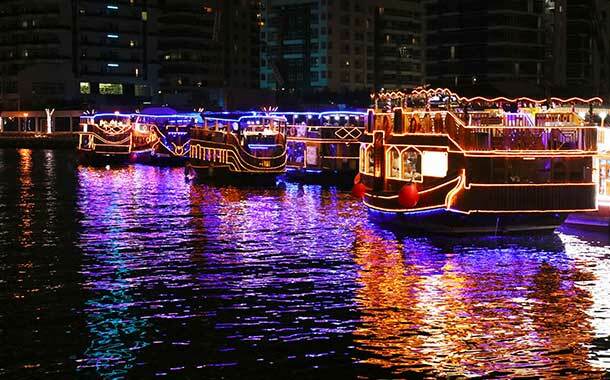 The Dhow Cruise comes with inclusions such as welcome drink, Tanoura dance and international dinner buffet. The Desert Safari is packed with many exciting inclusions such as the 45 minutes dune bashing, camel rides, Tanoura dance, BBQ buffet dinner, belly dance, henna painting and sheesha smoking. Set out for a half-day city tour in the morning. Enjoy an adventurous desert safari in the evening. Sit back, relax and enjoy a breathtaking dhow cruise. A minimum of 02 persons is required to avail the above rate. These rates are not applicable during any special events and holidays. All pick & drop will be arranged from Dubai.Pick up from other parts of UAE is available at an extra charge. Full refund for cancellation before 7 days. There will be no refund for cancellation within 7 days. Amendment can be done before 7 days. No amendment and no refund for amendment within 7 days.